One could not be involved in local food and agriculture in the state of Maine without knowing who Russell Libby was. Through his good work at Maine Organic Farmers and Gardeners Association — which under his leadership became the country’s largest state-level organic association — and countless other organizations as well, his influence stretched from one end of the state to the other, and beyond. 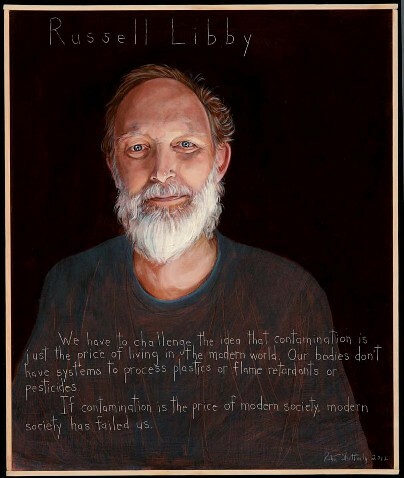 We count Russell Libby among our personal heroes, and the news of his passing greatly saddened us, knowing that we’ll no longer have his wise voice weighing in as we face the challenges of building a sustainable and just food system. He gave credence to the saying that one person can make a difference, and serves as an inspiration to do the same. “When I imagine the future for Maine, the place I am lucky to call home, it’s a mixture of all the best things I’ve seen – and what we also know to be possible: Farmers in their fields, checking on newborn calves. Orchards in full bloom. Alewive runs up streams where they haven’t been seen in generations. Fishing fleets returning safely to harbors all along the coast. Foods of the season in every store and restaurant because it’s what’s available, and these are the foods wanted and expected by all. • New Food Safety Practices: What do they mean for your farm? I was not aware of Mr. Libby and his contribution to sustainable food and agriculture so I thank you for the information. He sounds like a man I would have enjoyed knowing and listening to. I’m sure his passing will be a loss for the State of Maine as well as surrounding areas but may his work move forward. Russell was most beloved by all he encountered, kind and generous as well as brilliantly insightful about the future path of Maine agriculture — he will be missed by many. I just read the first essay. Very well written and thought out. Im sorry that the safe, local food movement lost such a powerful voice. Yes, you can make a difference one person at a time, the power of the people lies in their pocket books if they would only use it. Russell advocated that the citizens of Maine spend $10 of their weekly budget on local food, a small step for individuals that can collectively add up to a revolution.